SKU: 40PP0130. Categories: Food, Food Carton, General Purpose, Kraft Pouches, Paper & Cardboard, Paper Bags, Paper Bags. Tags: Paper, Powders, Samples. 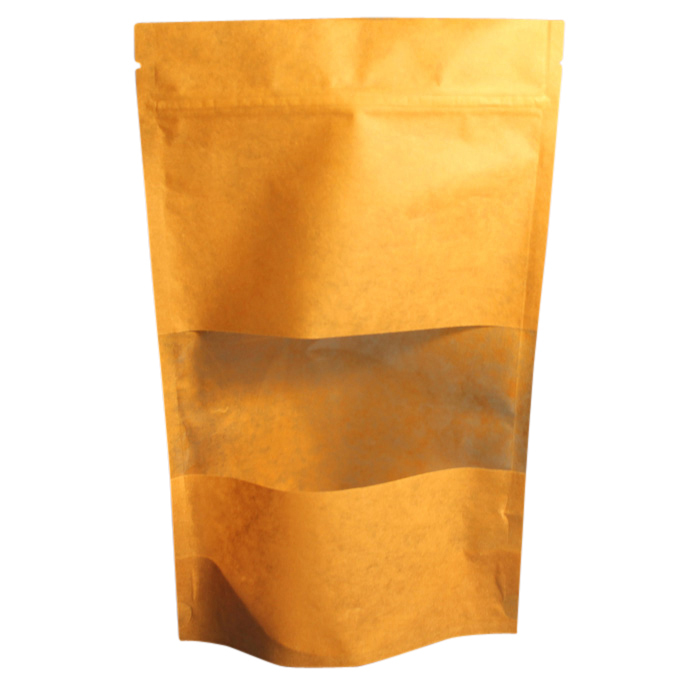 Pouches Kraft Zipper Pouch Bags offer a moderate barrier with an airtight, re-sealable zip closure. This Kraft style includes a clear window to show off your product while keeping it fresh.